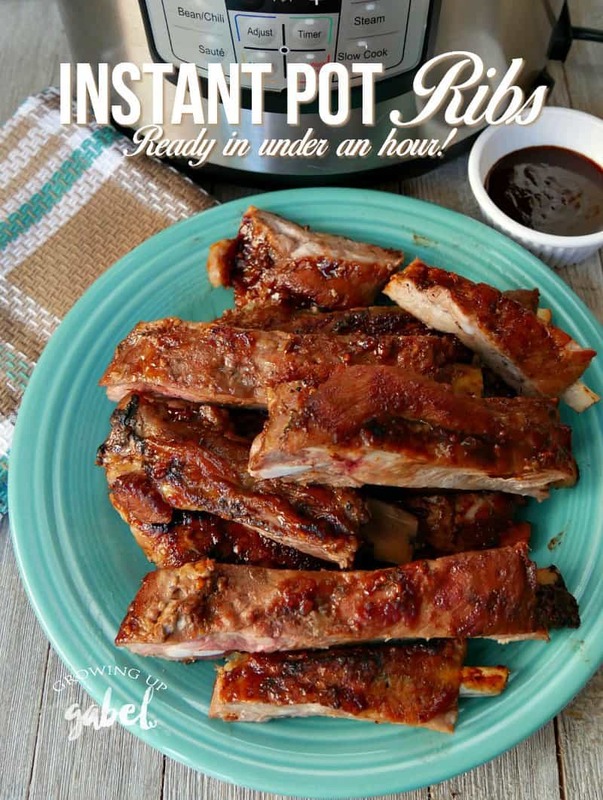 Easy Instant Pot ribs are ready in under an hour! 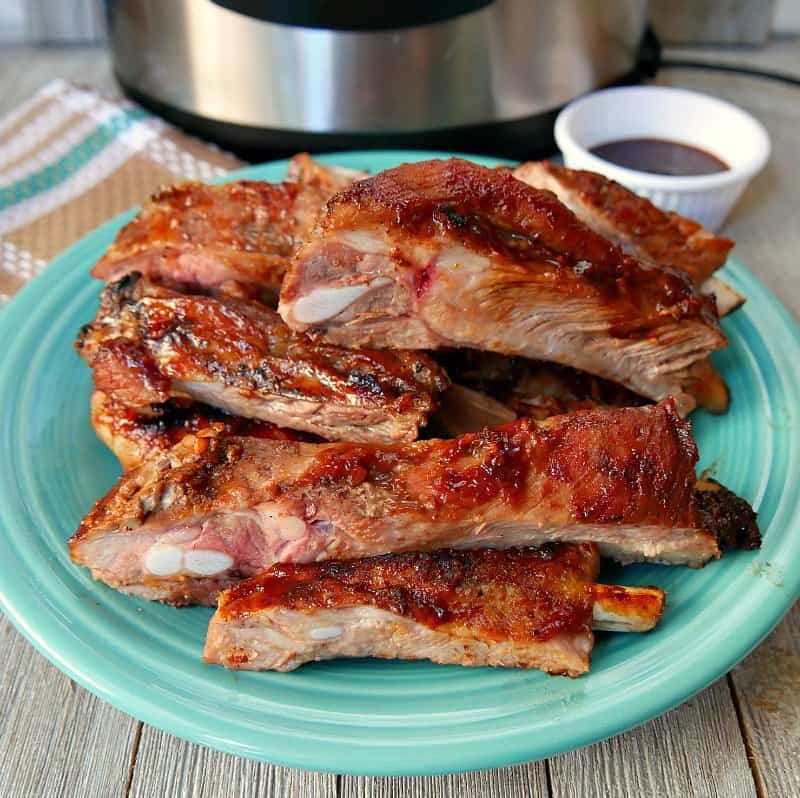 Season pork ribs with a special rub and cook in cola your Instant Pot. Then finish with barbecue sauce under the broiler or on the grill. 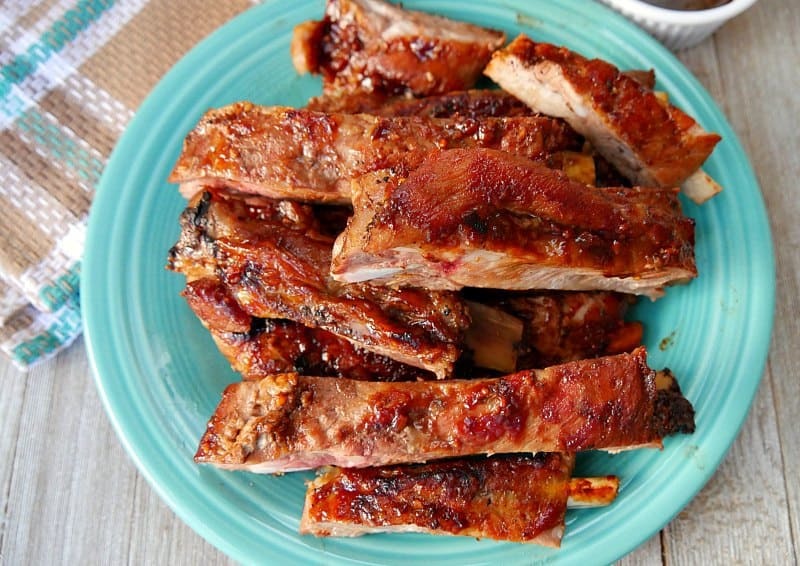 One of our favorite slow cooker recipes ever is Slow Cooker Ribs. They are seriously the best fall off the bone ribs ever. And they take pretty much no work at all. But they do take time as they need to cook in a slow cooker for about 8 hours. If you don't plan ahead, you're kind of out of luck. But not anymore thanks to our electric pressure cooker, the Instant Pot. Thanks to the genius of the pressure cooker, you can have ribs ready to eat in under an hour. Begin by preparing the ribs. 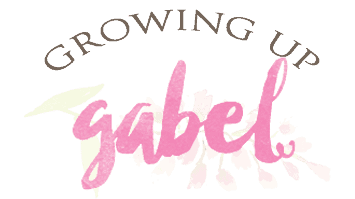 You can use spareribs or baby back ribs. If you use baby back ribs, remove the membrane off the back first. Then cut the ribs in to 3-4 sections so they'll fit in the Instant Pot. We had two huge racks of pork spareribs equaling about 7-8 pounds total. I split each rack into 3 pieces and cooked them in two batches. In order to cook anything in the Instant Pot, you need at least 1 cup of liquid. We always use cola for these ribs but you can use beer as well. Next, season the ribs with the rub which is made with brown sugar, liquid smoke, garlic, salt and pepper. 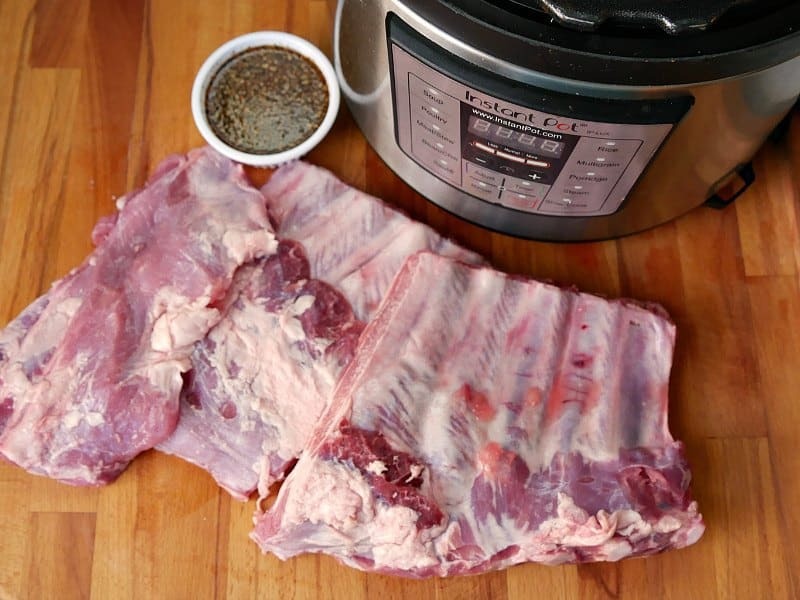 Place the ribs in the Instant Pot on top of each other. There's no need to use the rack. Just stack them up. You can also add a sliced onion for more flavor. Put the cover on the Instant Pot and set the vent to seal. Cook on manual for 18-25 minutes. 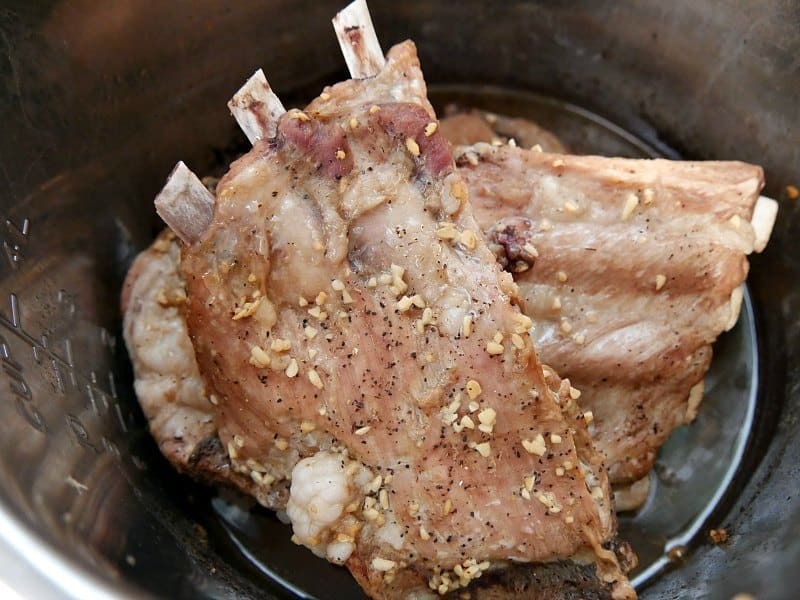 Cook time will depend on how ‘off the bone' you want your meat. Cooking them for 18 minutes will get the meat cooked, but not falling off the bone tender. 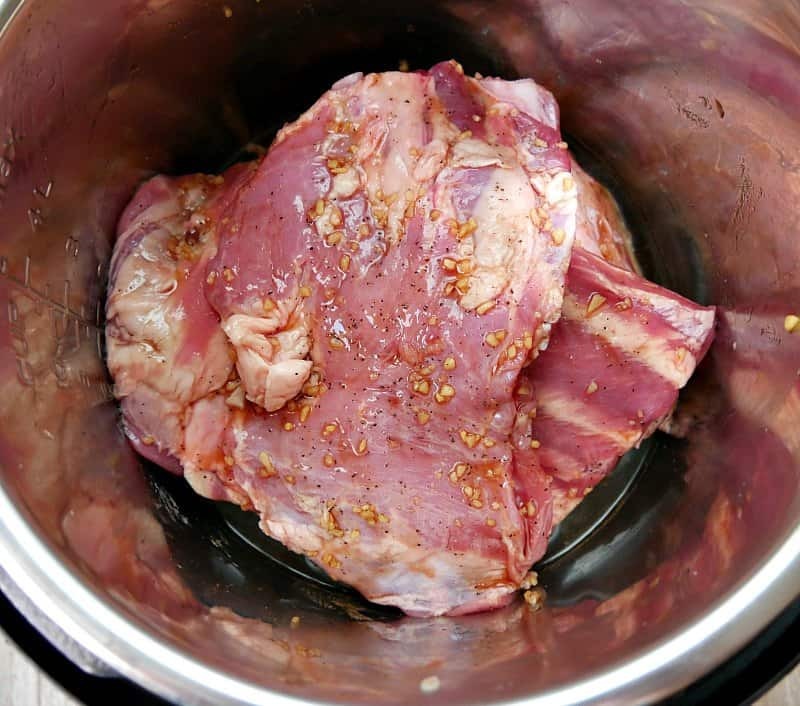 Use tongs to carefully remove the ribs from the Instant Pot. The ribs at this point are ready to eat. You can simply put some barbecue sauce on them and eat them. But they are so much better if you brown them up in the broiler or on the grill. These were finished in the broiler. 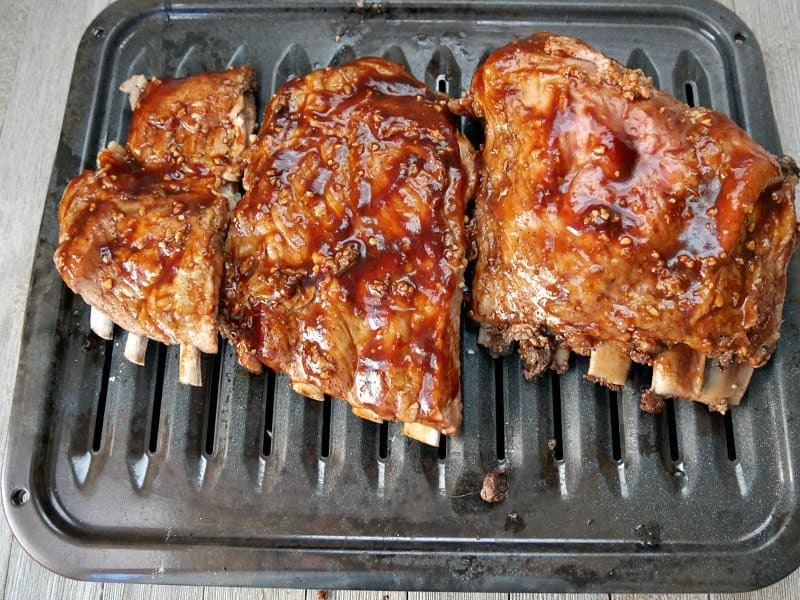 You can see how to grill them in our Slow Cooker Spare Rib recipe. Broil the ribs for 10-15 minutes until they are browned. Be careful to keep an eye on them as the barbecue sauce can burn easily. 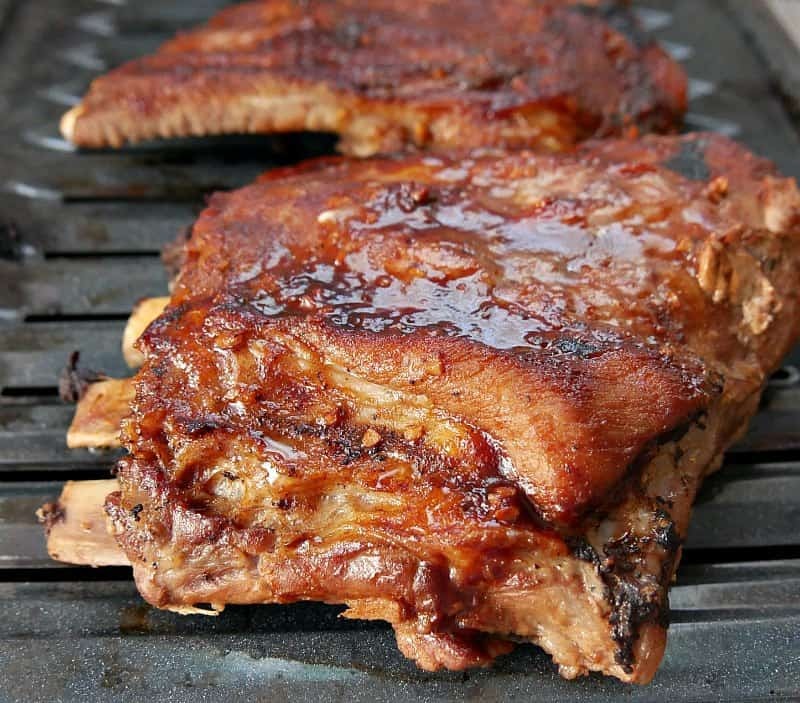 Once the ribs are grilled or broiled, put them on a cutting board and cut the ribs apart. Serve with more barbecue sauce on the side for dipping. In a small bowl mix together brown sugar, salt, pepper, liquid smoke and garlic. 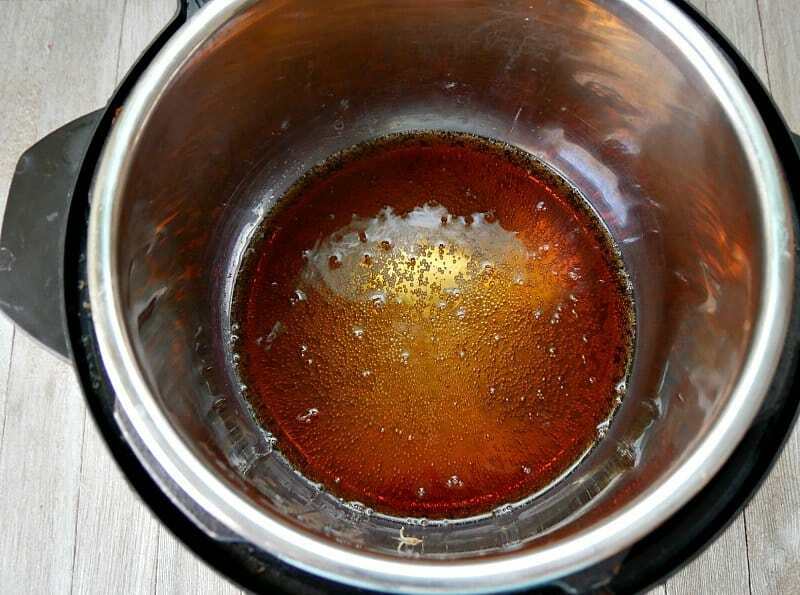 Pour the cola in to the Instant Pot. Cut ribs in to 4" pieces - about 4 ribs per piece. I usually try to break it in to 3 pieces. Rub brown sugar mixture into the ribs. 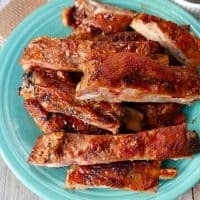 Place ribs in Instant Pot on top of each other. 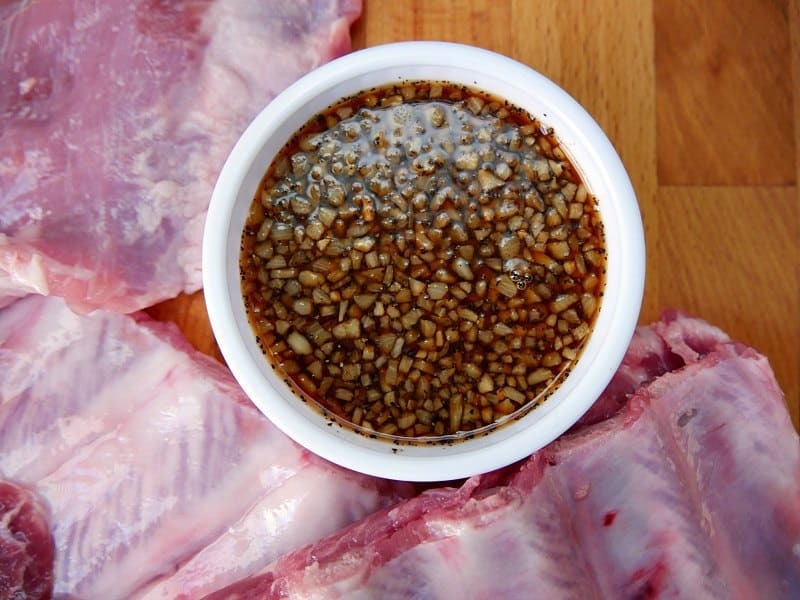 Pour any remaining rub over the ribs. Cover and seal the Instant Pot. Cook on Manual for 18-25 minutes. When the pot beeps, natural release for 5 minutes. Then do a quick release to release remaining steam. 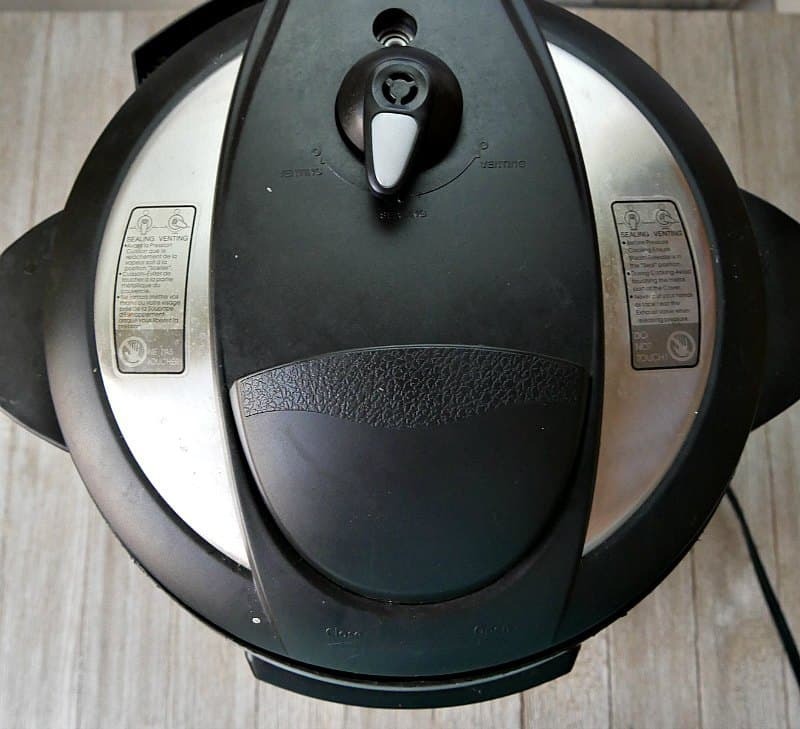 Carefully open the Instant Pot with the top pointing AWAY from you or any other person. Carefully remove ribs to a platter or broiling pan. Slather with barbecue sauce. Broil or grill for about 15 minutes until ribs are nice and browned. I made these ribs tonight. Good flavor but they were tough! Not fall off the bone☹️What did I do wrong? They probably need to cook longer in the InstantPot.